Some Virginia lawmakers met a familiar face when they went back to work at the state capitol on Wednesday. Former Virginia Gov. Bob McDonnell visited the state capitol for the first time since the Department of Justice decided to drop a criminal corruption case against him in September. 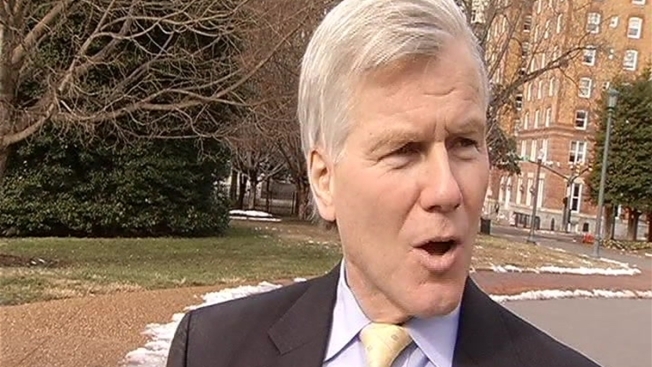 McDonnell left the governor's mansion in January 2014 and was indicted on corruption charges a few weeks later. He and his wife were accused of violating federal bribery law by accepting $165,000 in luxury gifts and loans from wealthy vitamin executive Jonnie Williams in exchange for promoting his dietary supplement. For 43 months, had been under investigation, been charged, been convicted and been sentenced. Last June, the U.S. Supreme Court overturned his conviction. McDonnell told News4 on Wednesday he is not lobbying in Richmond, but he did attend the General Assembly's opening day prayer breakfast. "Today's really been a day just to - reacquainting myself with old friends last night and thanking people for their service and for their kindness to me durng a tough time," McDonnell said. He also spoke to the Family Foundation, a conservative non-profit organization. McDonnell is now living in Virginia Beach and teaches at Regent University, a private Christian university.